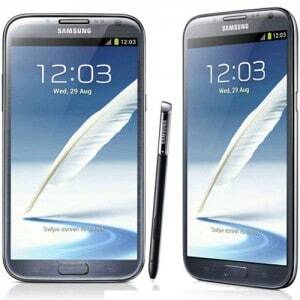 Just recently you may have updated your Galaxy Note 2 R950 with the latest VXALL1 Android 4.1.1 update. In this case, you most certainly lost all root access. Therefore you’re going to need a tutorial on how to root Galaxy Note 2 R950 running Android 4.1.1 VXALL1. In this article we explain exactly that. Make sure you follow the steps to root your Galaxy Note 2 R950 running Android 4.1.1 VXALL1 so that nothing bad happens to your device. Rooting is useful if you want to install custom recoveries, custom ROMs or other mods on your device. This rooting method for Galaxy Note 2 R950 running Android 4.1.1 VXALL1 uses CF-Auto-Root-t0lteusc-t0lteusc-schr950.zip to obtain root access, and you will need to use Odin. !!! Important. Rooting your Galaxy Note 2 R950 running Android 4.1.1 VXALL1 will void your warranty. Also this procedure is not an official one, so bad things may happen to your device. For that, we cannot be held responsible for any damage. Continue on your own risk. Galaxy Note 2 R950 running Android 4.1.1 VXALL1. Galaxy Note 2 R950 drivers installed on your computer. Connect the Galaxy Note 2 R950 to your computer with the USB cable. Wait for Odin to recognize your device by showing the yellow box in the left upper corner. At the end of the rooting process your Galaxy Note 2 R950 will reboot. That means the phone is rooted. This is it. You now have your Galaxy Note 2 R950 running Android 4.1.1 VXALL1 rooted.